If you're thinking about that $199.00 46 inch flat screen television, or any of the other great bargains Best Buy has in store for Black Friday on Nov. 25, you may want to get in line already to beat the rush, or forget about it. 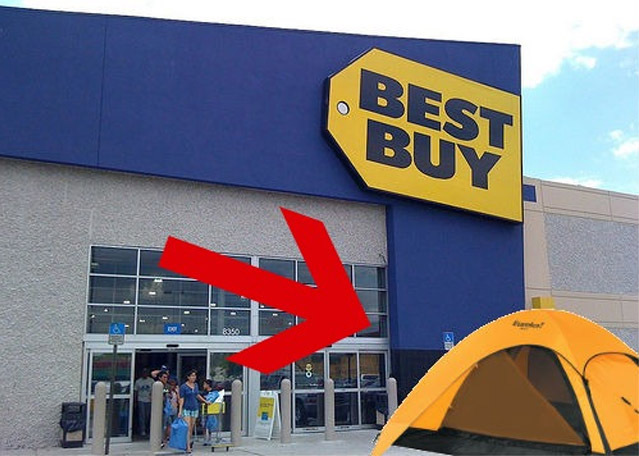 As The Consumerist puts it: While thousands of people her age are busy camping out in various Occupy movements around the country, a Florida woman decided last night to occupy the sidewalk outside her local Best Buy. That's right, 9-days-early!